If you’ve ever tried to cook a meal while attempting to entertain a hungry, tired toddler, you’ll be adept at stirring with one hand while child-wrangling with another. A couple of old pots and pans and a wooden spoon handed to said toddler can be a saviour but if you’re looking to upgrade your little sous chef to master chef status, this beautiful collection could be for you. In fact it may be futile to try and resist these amazing, hand-crafted, mini kitchen sets from Mother Garden. 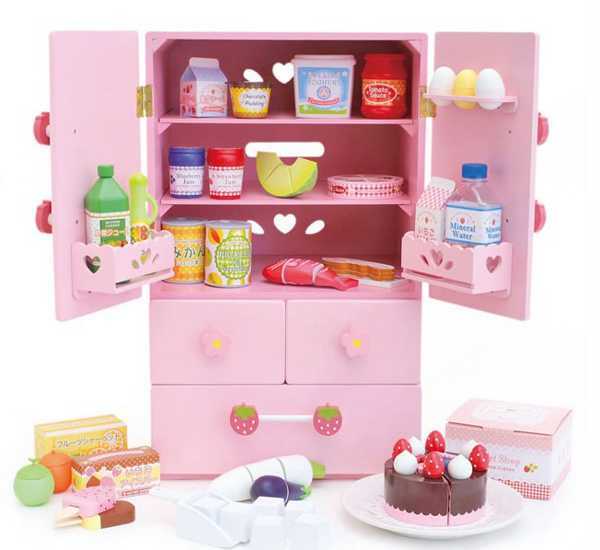 The toys (if these works of art can be called toys) work on the “interactive mother and child philosophy” and take pretend play to a whole new level, with incredibly detailed wooden kitchenware and food. Some of the toy treats look good enough to eat! The Japanese Tea Ceremony set brings a whole new dimension to the traditional tea party, with thirty individual pieces of detailed and dainty crockery and sweet delights. 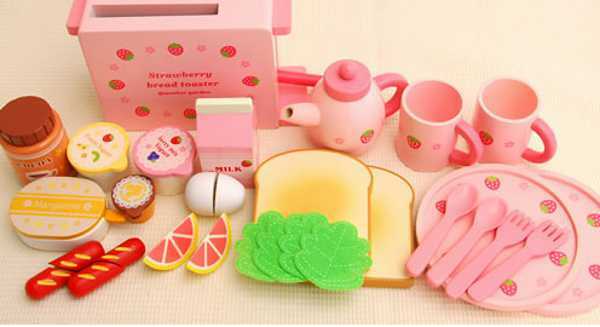 The Sweet Red and Pink Strawberry Kitchen, complete with strawberry splashback, is perfect for any little girl’s fantasy home. It has a host of bells and whistles, including a grill oven to cook the adorable fish that comes with the set. The boys haven’t been forgotten, with the suitably-themed Safari Kitchen – what little boy wouldn’t want a tiger saucepan and paw print hanging knobs? And the delicate Chocolate Tins make a tasty stocking filler. With prices ranging from $39.95 to $575, you can indulge as little or as much as you like in your child’s culinary creativity. These goodies are available from Little Yo Yo Styles, which ships Australia-wide.